Kenneth H. Carter, Jr. is resident bishop of the Florida Conference of the United Methodist Church. 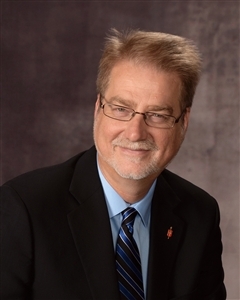 Along with the Cabinet, he gives pastoral and administrative leadership to over 800 congregations, fresh expressions of church, campus ministries and outreach initiatives in an episcopal area that stretches from Tallahassee and Jacksonville to Miami and the Keys. He came to the Florida Conference in 2012, following a ministry of almost thirty years in Western North Carolina, twenty-nine as a local church pastor. Bishop Carter also serves as the president of the Council of Bishops of The United Methodist Church, and he was one of three moderators of The Commission on a Way Forward. He is author of eleven books, most recently Fresh Expressions: A New Kind of Methodist Church (with Audrey Warren; Abingdon Press, 2017) and Embracing The Wideness of God’s Mercy: The Shared Convictions of United Methodists (Abingdon Press, 2018). His great hope for the church is that she will rediscover an orthodox Christian faith which offers the radically inclusive grace of God to all people, and at the same time calls every follower of Jesus to inner holiness, missional compassion and hopeful witness. He travels extensively across the state, preaching in local churches and encouraging lay and clergy leaders. Bishop Carter and his wife, Pam have been married for thirty-seven years. Pam is also an ordained elder in The United Methodist Church and is volunteer coordinator in disaster recovery for the Florida Conference. They are blessed with two adult daughters: Liz lives in Los Angeles, where she is a PhD. student at U.C.L.A., and Abby is on the staff of Martin Methodist College in Pulaski, Tennessee. Abby and her husband Allen are parents of Paige, the bishop’s granddaughter. The Carters consider it a great blessing to live and serve in Florida.